"[a] beautifully prepared sequence...strange and wonderful music"
"El excelente grupo inglés Orlando Consort not trasnmite toda la belleza de la música y de la poesia y, como reza el títolo de portada, nos lleva de la mano a soñar en el jardín de las delicias." 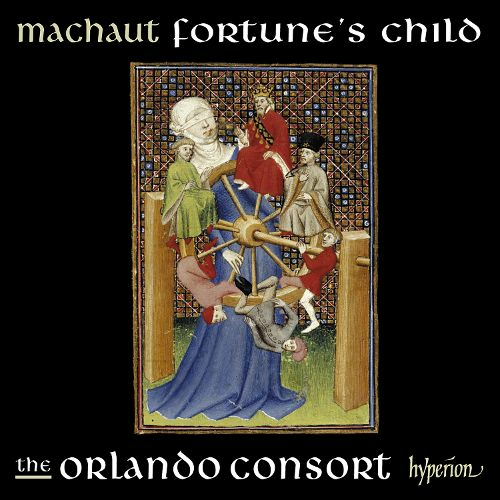 "The singing is superb, as we have heard in earlier releases by this group….No other collection of Machaut’s songs is half as good." "..the sheer skill of the Orlando Consort leaves one speechless: everything is immaculately tuned, balanced and phrased: the music is flawlessly edited (by Daniel Leech-Wilkinson), itself still no easy task; absolutely nothing seems to impede the flow of the music."